Welcome to ACC’s Business Community! Today’s globalized economy is filled with all kinds of competition from small businesses to large corporations. Today’s workers must be competitive, interactive, and diverse to compete and succeed. You will be required to meet these global challenges with the skillsets needed to keep your company successful and profitable in an everchanging economic environment. Are you ready for the challenge? The business programs at Alpena Community College prepare you for a successful career in a wide range of business platforms with a variety of academic program choices to help you meet your career and educational goals. ACC’s business programs will prepare you for employment in a competitive marketplace or guide you to a bachelor’s degree at a four-year school. ACC also hosts several articulation agreements with four-year universities, allowing you to complete additional upper-level courses right here in Alpena, with the value of ACC’s low tuition rates and local convenience. Business students seeking employment in the market upon graduation usually pursue a Business Management (AAS) degree. Small Business Management is a great choice for those with an entrepreneurial spirit! Certificates of Achievement and course certifications are available for students who might already have a job, but want to get ahead in their career. Students planning to transfer to four-year schools should consider pursuing a Business Administration (AA) degree. This degree blends core business courses with liberal arts general education requirements to meet the Michigan Transfer Agreement. The faculty at ACC bring real-world expertise and ideas into the classroom. We have instructors who own and operate their own businesses, big and small, and manage organizational resources, finances, programs, processes, and personnel. You’re not just learning from a textbook, you’re learning from proven business professionals, each prepared to bring you their practical experiences in realtime relevance. ACC’s business instructors are skilled academic advisors who want to help you and see you succeed! Meeting with your advisor early and often will make sure that you’re taking the courses that will get you where you want to go in your career. ACC offers several business degree programs: an Associate in Arts (AA) degree in Business Administration, an Associate in Applied Science (AAS) degree in Business Management and an AAS degree in Small Business Management, or a certificate (C) in Small Business Management. This AA Degree program prepares students for employment in the business industry or for transferring to a four-year institution to earn a degree in business. Students will gain widespread knowledge that blends business-related core topics such as marketing, business law, human resource management, accounting, economics, business application software, and business operations with general education courses including English, science, math, humanities, fine arts, and social sciences. 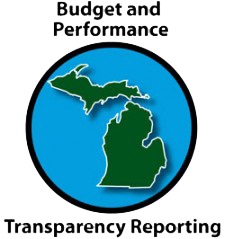 This program meets the Michigan Transfer Agreement requirements for public and private community colleges and universities throughout Michigan. The AAS degree in Business Management is a well-rounded curriculum that blends general educational courses with business operations and management. This program prepares students for employment in the business industry or managing their own businesses. Students will gain widespread knowledge of sales, marketing, business law, human resource management, accounting, economics, business application software, and business operations. Self-employment is the goal of many individuals and one method of achieving this goal is to own your own business. ACC has designed the small business management program specifically to help people learn to manage a small firm. Students will get a general business background with specific emphasis on salesmanship, accounting, management, business law, marketing entrepreneurship, economics, business application software, and business communication. Similar to the AAS program, the Certificate program is great for someone looking to learn the basics of owning their own business. The curriculum targets essential business content on salesmanship, accounting, management, business law, and marketing. This two-semester program leads to a Certificate of Achievement. These degree and certificate programs in business administration, business management, and small business management prepare you for a wide range of careers. These programs challenge you to develop strong analytical, reasoning, and problem-solving abilities and give you many opportunities to strengthen your oral and written communication skills. You will find these skills and others to be critical in many different business-related fields, from advertising, promotions, retail sales, or general business management in a corporation of your own company. Because your career choices are so numerous, your job prospects and average yearly salary will vary significantly depending on the field you pursue. Median hourly earnings of administrative services managers were $43.29 in 2016, while median hourly earnings of management analysts were $39.10. Projected employment growth varies by industry. For industries such as retail and service professions, the overall projected employment growth will typically reflect the patterns of growth seen in their specialized industry such as retail sales, manufacturing, operation management, or other business. Overall, employment of business and financial occupations is expected to grow 8% from 2014 to 2024, about as fast as all occupations. Competition for management positions will be stronger in higher level positions. Job prospects are expected to be better for those who can manage a wide range of responsibilities than for those who specialize in particular functions. * Bureau of Labor Statistics, U.S. Department of Labor, Occupational Outlook Handbook, 2016-17 Edition, on the Internet at http://www.bls.gov/ooh (visited Apr. 20, 2017). Before starting any program at ACC, a student’s academic background, assessment scores, or testing results are reviewed to determine the right courses to take. Review classes are also available to prepare students to meet the academic requirements of these programs. ACC has an articulation agreement with Northwood University that allows you to complete all the course requirements toward a bachelor’s in business degree on our Alpena campus.